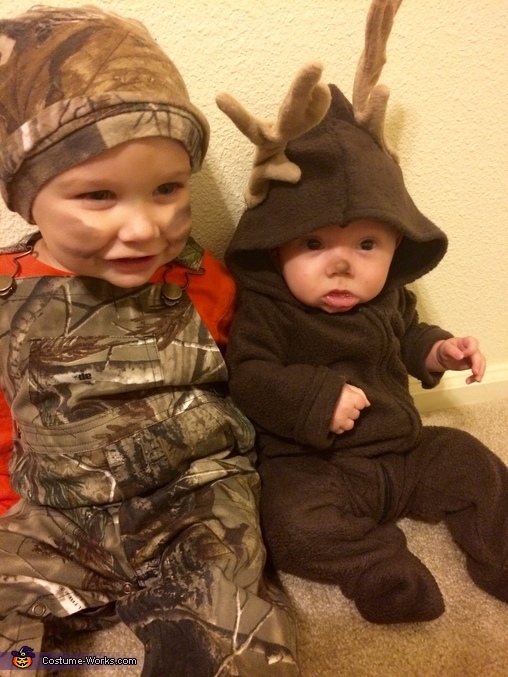 My two boys are dressed as a hunter and his deer! The idea came from we love hunting and what is a better duo than this ! The deer costume is handmade ! With sewed on antlers!